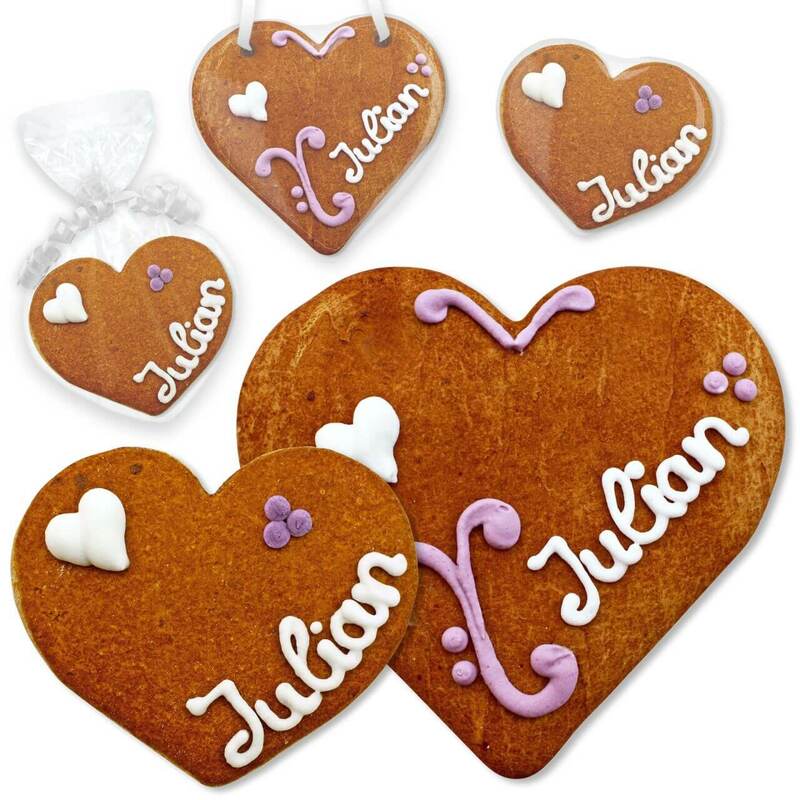 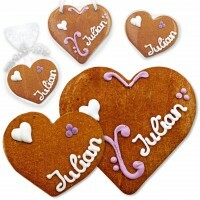 The charming place cards with the design "Julian" are decorated with heart and ornament of frosting. The delicious heart shaped gingerbreads will assign your wedding guests the way to their places. 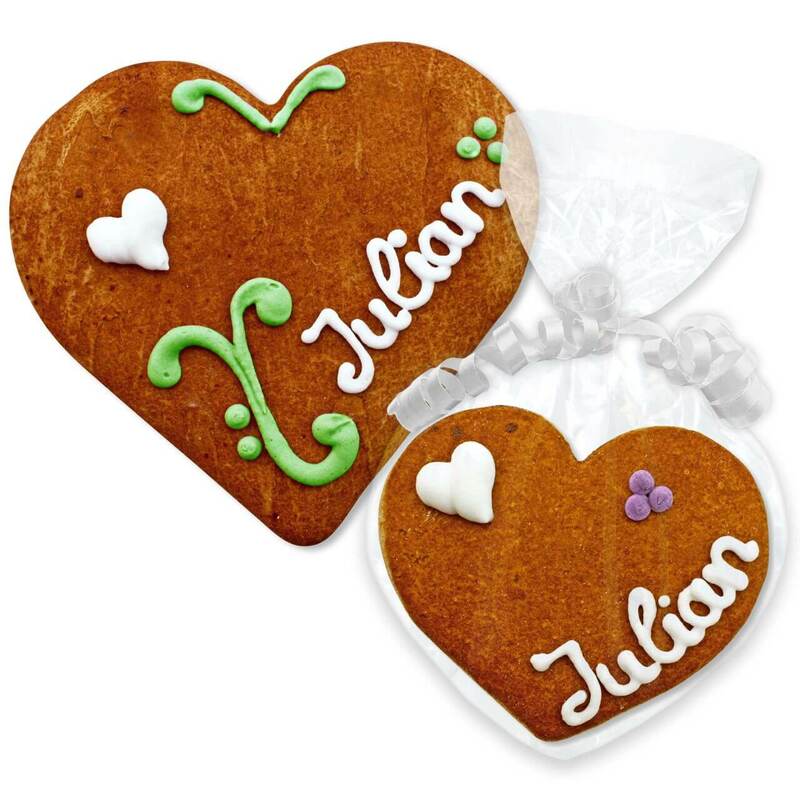 Your guests also have a sweet keepsake.